8.3.2010 — BOSTON — DREAM University participant Pete Shungu engages the discussion at a teach-in rally at the Massachusetts State House on Aug. 3, 2010. 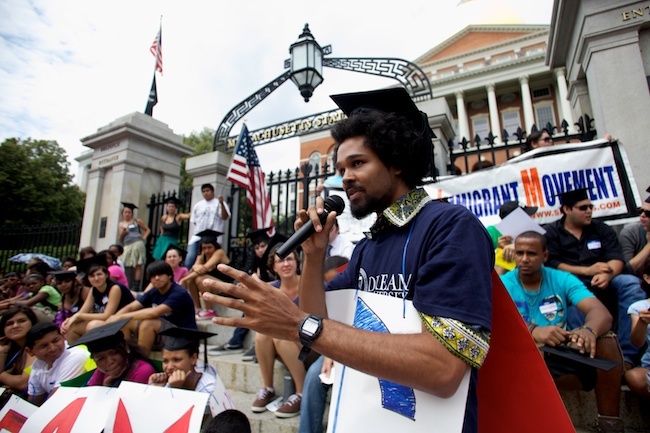 Activists were rallying in favor of the DREAM Act, which would grant a path to citizenship for undocumented students upon completion of higher education or enlistment in the military. 8.3.2010 — BOSTON — High school student Modeline Badio, 18, and other DREAM University participants prepare their signs for their rally in support of the DREAM Act outside the Massachusetts State House on Aug. 3, 2010. 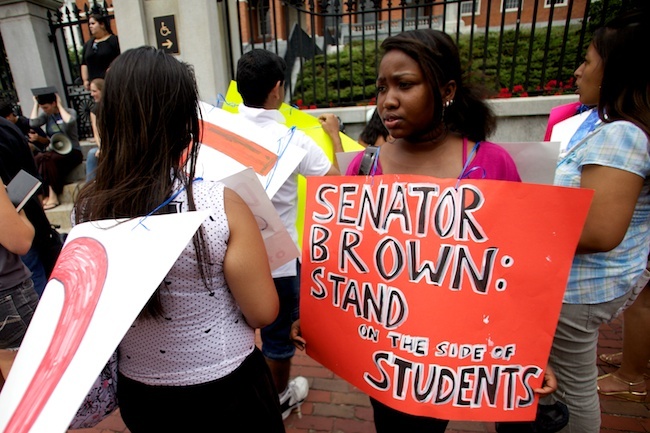 The activists were targeting Massachusetts Sen. Scott Brown in particular, who has expressed mixed opinions on the DREAM Act. 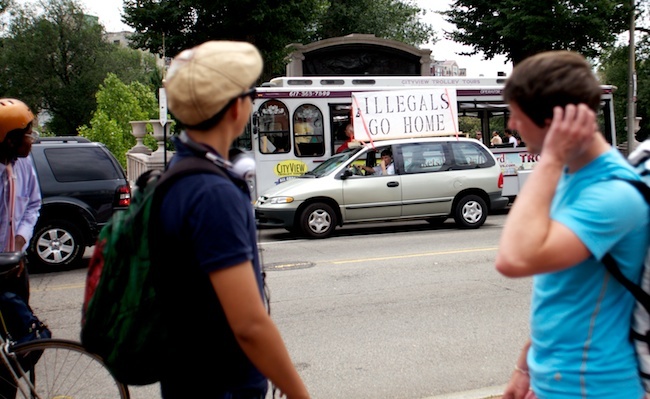 8.3.2010 — BOSTON — A lone protester made several passes along Beacon Street in his minivan to counter the DREAM University teach-in at the Massachusetts State House on Aug. 3, 2010. The activists largely ignored the protester. 8.3.2010 — BOSTON — Maria Peniche, 19, tells the audience at the DREAM University teach-in about her struggles and goals as an undocmented student at the foot of the Massachusetts State House on Aug. 3, 2010. 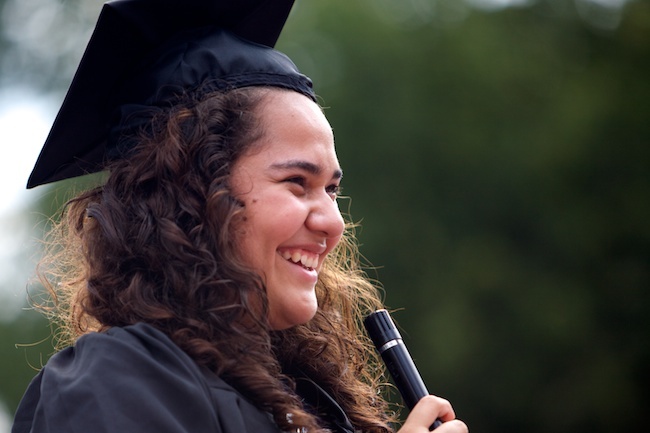 Peniche, who calls herself a "DREAM Student," is currently enrolled at Pine Manor College. 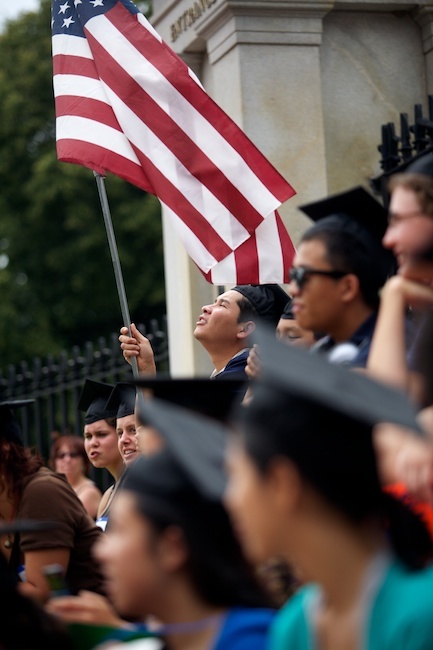 8.3.2010 — BOSTON — A DREAM University participant waves the American flag during the DREAM University rally's "graduation" ceremony at the foot of the Massachusetts State House on Aug. 3, 2010. 8.3.2010 — BOSTON — Emelia Martinez-Brumbaugh, a Hampshire College student, accepts her "diploma" from the DREAM University teach-in "graduation" ceremony at the foot of the Massachusetts State House on Aug. 3, 2010. 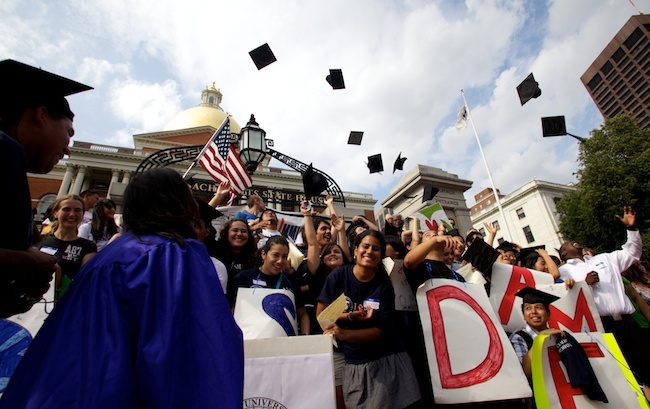 8.3.2010 — BOSTON — Participants of the DREAM University teach-in toss their graduation caps in the air to wrap up their rally at the Massachusetts State House in favor of the DREAM Act on Aug. 3, 2010. Sometimes, you can cover an entire baseball game, essentially, in one inning. 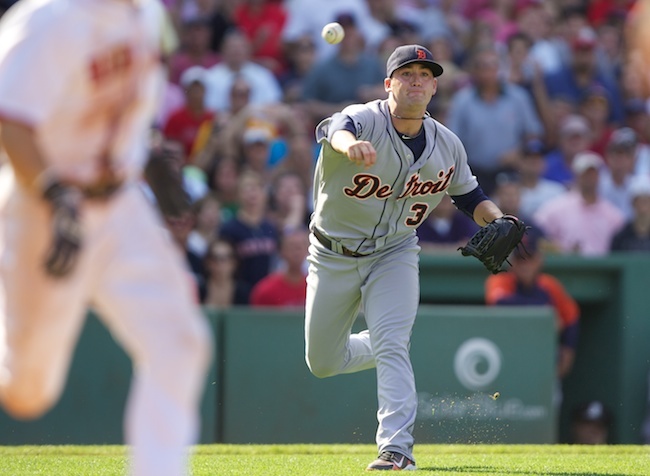 Take Sunday’s game between the Red Sox and the Tigers, for example. Featuring a pitchers’ duel between the Red Sox’ Clay Bucholz and Detroit’s Justin Verlander, there wasn’t much action to be had as Bucholz cruised with a 3-0 lead into the ninth. 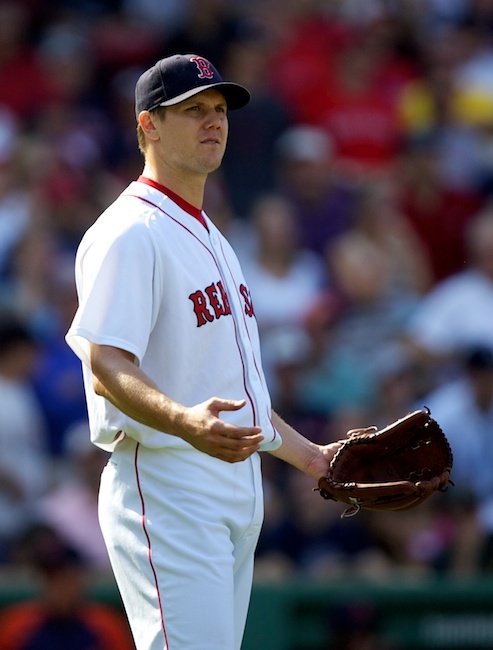 Papelbon blew the lead in the ninth, allowing the Tigers to tie the game at 3-3. But, as luck would have it, a timely error in the bottom part of the inning led to a walk-off win for the Sox. Nice celebration pictures to cap an otherwise uneventful (action-wise) game! 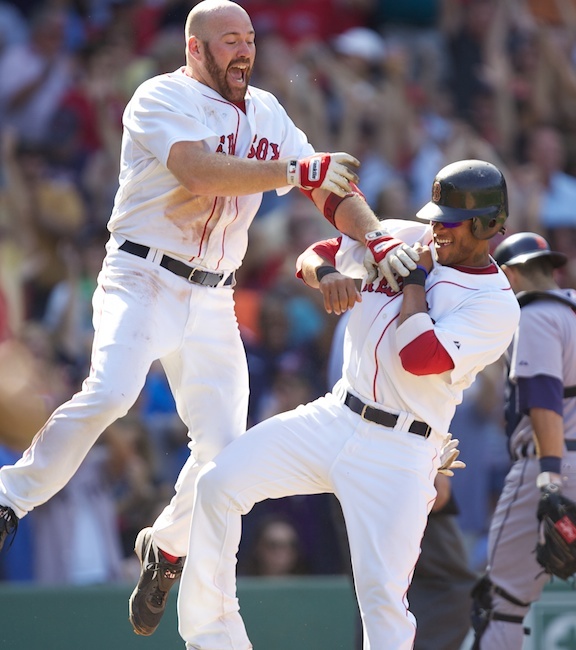 8.1.2010 — BOSTON — Red Sox first baseman Kevin Youkilis pounces on pinch runner Darnell McDonald after McDonald scored the game-winning run in the ninth inning on a Tigers error on Aug. 1, 2010. 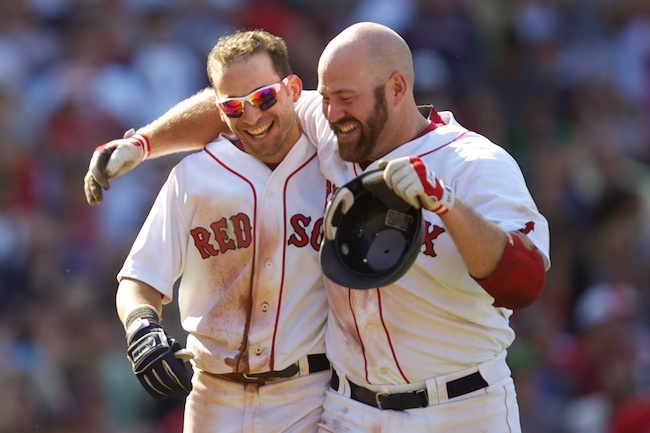 8.1.2010 — BOSTON — Red Sox first baseman Kevin Youkilis congratulates shortstop Marco Scutaro after Scutaro's bunt resulted in a game-ending error from Tigers pitcher Robbie Weinhardt in the ninth inning to put the Sox on top, 4-3, on Aug. 1, 2010. 8.1.2010 — BOSTON — Tigers pitcher Robbie Weingardt throws the ball away in the ninth while trying to field a bunt from Marco Scutaro on Aug. 1, 2010. The error allowed pinch runner Darnell McDonald to score the go-ahead run, putting the Sox on top 4-3. 8.1.2010 — BOSTON — Red Sox reliever Jonathan Papelbon shrugs his shoulders after giving up a 2-run double to Tigers first baseman Miguel Cabrera, tying the game, on Aug. 1, 2010. 8.1.2010 — BOSTON — Tigers left fielder Ryan Raburn can't make the play on Eric Patterson's RBI bloop hit into left field in the second inning on Aug. 1, 2010. 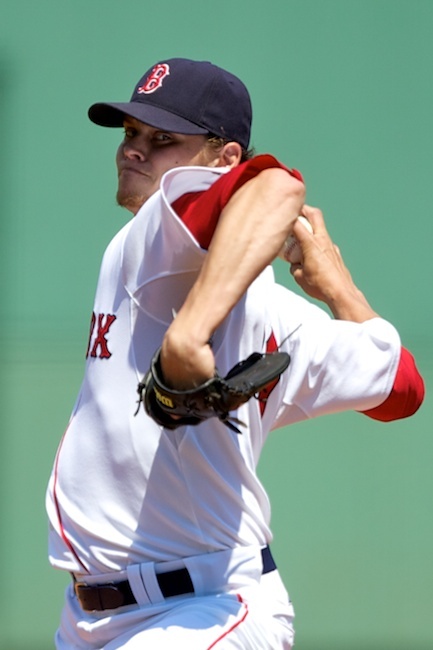 8.1.2010 — BOSTON — Red Sox starting pitcher Clay Bucholz pitches to the Tigers in the first inning on Aug. 1, 2010.